nil vacancies for the posts of DEO, Peon, Assistant & Others. Through this opportunity, there are total 198 vacancies will be fulfilled only by eligible and talented candidates. Candidates, who are eligible, can apply for this opportunity by send the application forms in proper way to get a secure place in this organization. Candidates who are interested in this offered opportunity and want to apply, firstly they have to clear that their eligibility criteria are match as per the requirements of offered post, if the candidates find to them eligible then can apply otherwise not. Now you are thinking that by which method you can apply for this offered opportunity, for this job opportunity candidate’s can apply by send the application forms in proper manner. Candidate’s who know that they are eligible as per the requirement they can apply on or before last date that is 15th February 2019. Hey guys keep remember this date because forms of all candidates will be acceptable only on or before last date. Duly filled application form is invited through online mode from 12th / Graduate Degree / Post Graduate Degree having candidates for fill up vacancies for the posts of Asst/ DEO/ Coordinator/ Executive and others by Chhattisgarh State Rural Livelihoods Mission not later than ending date. This opportunity of government job is quite big therefore get ready to beat written exam and interview. Each and every willing candidate is suggested to deposit the online filled application by looking official website of Chhattisgarh State Rural Livelihoods Mission to appoint on available position. To clear all the rounds of selection process applicants need to prepare well with the help of latest exam pattern and syllabus. Applicants will get good scale of pay after joining. Important information is association with process to apply easily for CGSRLM Recruitment are written below on this web page for the visitors of this web portal. To get this opportunity of government job you should apply latest on last date. All the best to all candidates for this golden opportunity of job!! 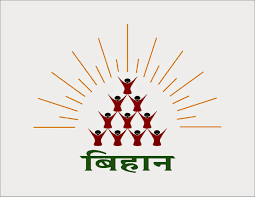 To have further possible jobs offered by Chhattisgarh State Rural Livelihoods Mission will be available on its official website that is bihan.gov.in. For more news updates of recruitments from ejobhub make bookmark this page and visit any time. Now read complete info of this article and then apply as soon as possible. Educational Qualification: Applying applicants must have passed 12th / Graduate Degree / Post Graduate Degree in concerned stream with good academic records from well recognized University or Institute Board. Those who are interested for Steno / Data Entry Operator Posts must have good typing speed as per the norms of Chhattisgarh State Rural Livelihoods Mission. Age Limitation: Age of applicants will be decided by organization. Process of Joining: Applicants will select on the basis of their performance in written test and interview. Go to the “Recruitment” section. Press on the suitable link. Read details completely of notice and press on “Apply Online” option. Upload essential documents and scanned photograph and signature. Finally enter on “Submit” option and take a hard copy of submitted form for future use.